How was the World thousand of million of years ago? Find it out with the Jurassic Island! 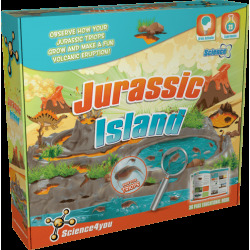 Observe how your Jurassic triops grow and make a fun volcanic eruption! 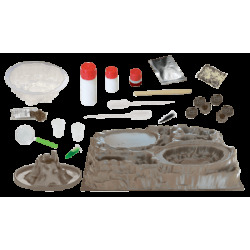 You will love making awesome fossils and knowing how the Earth's atmosphare was formed. 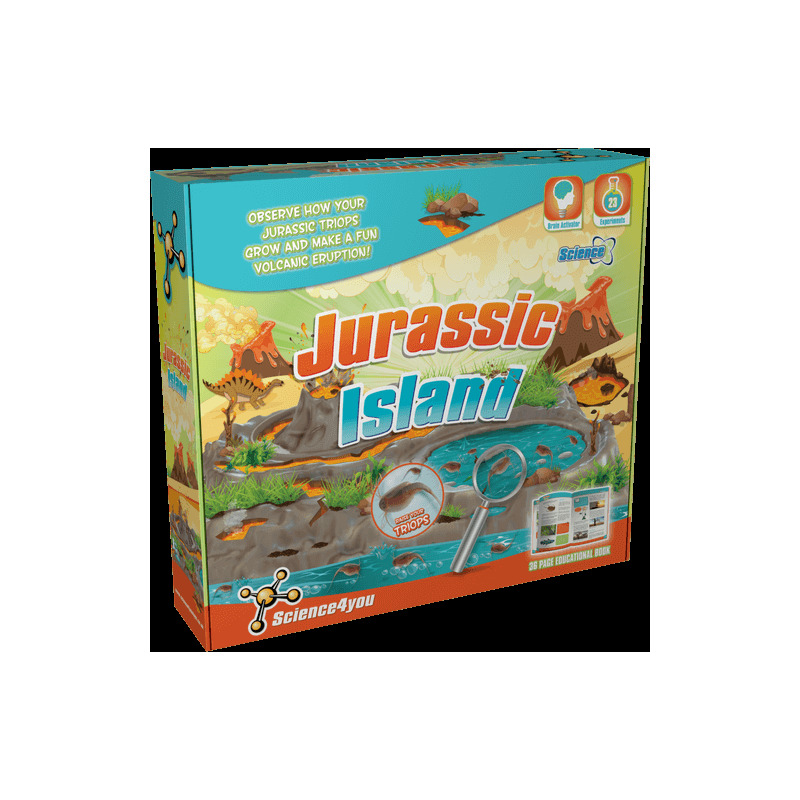 Create your own little island for dinosaurs with the Jurassic Island! How to have a fantastic ecosystem in your Jurassic Island. How to make fun volcanic eruptions with chemical reactions. How to raise Triops from the Jurassic age and how to observe them using the scientist magnifying glass. How is the planet Earth's composition and how was created its atmosphere. 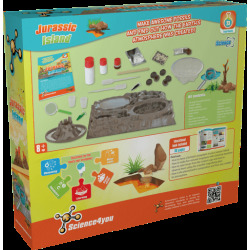 This toy also includes up to 23 experiments for kids as well as an educational book with 36 pages.